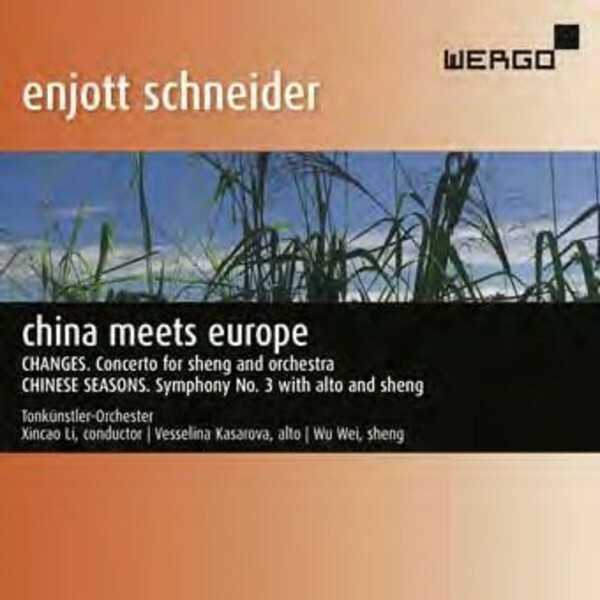 'China Meets Europe' is the second in Wergo's series of ten recordings of the music of Enjott Schneider. Schneider is a German composer, musicologist and music educator. He is known for his film work, having won the Bavarian Film Award in 1990, the Filmband in Gold in 1991 and the Deutscher Fernsehpreis in 2007. China's rich culture has fascinated Schneider for a long time. This recording presents two works which, though they owe their sound primarily to western symphonic ideas, also incorporate spiritual and musical influences from the East.